This website is a global Waldorf homeschool cooperative via both a members-only forum, and an “a la carte” section where Content Creators offer curriculum for free or for sale by the block, and a video tutorials section for every imaginable Waldorf skill! We offer a host of other resources for creating your own, personalized Waldorf-inspired curriculum. 1) Create a community space that is separate from social media, where homeschooling parents can come together to support one another and have a place to share their own unique gifts with their community. 2) Make these resources affordable and easily accessible. We want you to be able to both select content from other teachers/parents, and submit your own content, either in the premium content section, or selling/donating your files in the Download Section. It's based on the individual. Our resources, both in the community forum and free/for sale content in the Downloads section, can help you learn how to create a custom curriculum uniquely tailored for YOUR child. Members can buy/sell/donate content to each other. Steiner education is based on the development of the child in front of us. As homeschooling parents, we are uniquely situated to create a curriculum custom-made to the needs of our children and our family. This space exists to support that vision. It’s affordable. Our goal is to build a collection (over time) of many various main lesson blocks, tutorials, and ideas from parents, curriculum writers and artists alike, so that you can pull from ones that you resonate with for specific blocks/topics. Being able to choose by the block, instead of purchasing an entire curriculum and only using pieces of it, helps educating with this method become more accessible. * It’s organized . by block and/or topic, making it easy to find what you need. * It’s an alternative to social media. Forums have the ability to build lifelong friendships in a space that offers a more intimate setting. By removing the distraction of other social media, a forum with a purpose can help you focus on your interests and family life! Downloads Section: Download lessons and tutorials by the block or lesson! SELL your own lessons by uploading them (you must have a Paypal account to withdraw your funds). Option to donate free lessons. Become a top contributor or seller of lessons and get free membership! Book Clubs: study Steiner's works in depth with others, or discuss your favorite children's books with your friends. Here’s an idea: use a book club to create a Main Lesson out of a Children's Book! You have the option to charge a fee for your club and get paid! You also have the option to add your friends as moderators to your club. Extensive Book Recommendations: sections for each grade that list both Children's Books and Teacher Books that are helpful for your journey! Hundreds of organized recommended book titles curated by our team available with Basic Membership! Forum Discussion: for every class and subject from nursery through high school! Blogging Platform: you can create your own blog here and members can follow your journey! Buy/Sell/Trade: section gives you FREE REIGN to sell your Waldorf stuff here! Books, toys, crafts etc! Calendar and Events: mark the seasonal festivals, plan each festival in our holiday/festival section, join us for featured Zoom conferences, and get updated about podcasts and webinars! Self Care Section: Discuss mental, physical, and spiritual self care practices! Anthroposophical Medicine, the power of Verses and Thought Training, and your Spiritual Journey discussion! Teacher Training and Steiner Study Groups: Want to dive in deeper? Improve your knowledge and skills? You have come to the right place! Top Notch Private Message System and Social Tools: message other members, follow them, and like their posts! We also support animated GIFS, a tagging system, member Birthdays feed, and other top of the line posting features! Albums and Galleries: upload and share your latest photos to your own albums in our Gallery Section. They can only be seen by members and you can remove them at any time. Share main lesson pages, chalkboard drawings, and more! Browse what others have uploaded for inspiration! Membership as a user is free! Sign up ANY time to be on our mailing list, set up your profile, and introduce yourself to the community and general chat. Simply sign up in the top right hand corner! Offers access to all the above members-only content, including year-long access to the rest of our many forum topics where members can mentor one another and participate in meaningful discussions around Steiner’s philosophies and the Waldorf pedagogical method, access to free or for sale tutorials and lessons, free printables, book club system, blog system, book recommendations and galleries! Access to unique video lesson content will be located in a separate section on the website! Our long term goal is to get video tutorials from a wide variety of Content Creators on every imaginable Waldorf skill. Staff will review and curate your content, and once accepted, you have the option to link to your own website for folks to access the rest of your unique creative content for sale! This is a great promotional opportunity for YOU and your talents and business!!! PLEASE NOTE*** We are a NEW Cooperative and video content is not available yet and is currently still under construction! We are curating and uploading the first of creator's content over the next few weeks. Please enjoy our other features for now. If you would like to be one of the first video tutorials on our website please contact us now!!! What are the requirements to submit content? The only requirement is that all content will be curated by the staff team to make sure that it is based on Steiner’s work. While other homeschool methods and philosophies may certainly be discussed here in the forums, and members will use a wide variety of inspiration for their own homeschooling, official curriculum content for this website must be true to the philosophy of Waldorf. How does the content approval process work? What if I am not sure whether my content is eligible? Please contact us in the contact section. . . we would be happy to talk with you! I love this idea! Is there an option to simply volunteer content? I don’t have a website that I want to advertise and I think I’d rather just support my homeschool community. Please contact us to become a volunteer! Overall, we think this place is going to ROCK 😎 It is going to be filled with artists and creatives helping each other succeed in homeschooling, and in getting their ideas and businesses HEARD! So, Are you ready?? Have you created a Main Lesson Block? Something to go along with one? Have a video tutorial for art or music or eurythmy? I do! I'm ready to submit mine. Sign up as a Member in the top right hand side for FREE, then Subscribe to Basic Subscription and submit yours today! PS. you do NOT need to be a member to visit our main printables store created by our administrator Annie Haas and her son! 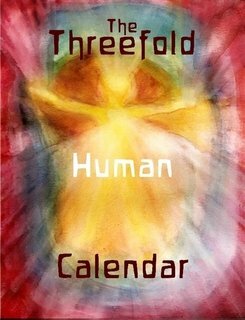 Check there for wonderful things like the Threefold Human Calendar, The Threefold Weekly Planner, Charts, Tutorials, Child Made Printables, and more to come! PPS. PLEASE NOTE! We are NOT an open and go curriculum provider. We are brand new, so we do not have curriculum for all grades or blocks yet. Since we are just a baby, what we have mostly right now are a few blocks for sale, a few video tutorials and free downloads. This will continue to grow as we do! Our strength at the moment is 24/7 mentorship, extensive Steiner study and indications for each grade and subject, book recommendations, book clubs, and help creating your OWN blocks! We are very much a do-it-yourself and we-can-help website. We believe in you! Please make sure this is the right fit for you before subscribing! **Premium Membership Coming Soon! Already subscribed to our Basic Membership? Submit your video tutorial today for a FREE upgrade to Premium Membership, giving you access to all Waldorf video tutorials! Contact us for more information!